Making Python package installs easier and more secure for users across platforms. Installing Python packages is usually done with one of the available package installation systems, e.g. pip, easy_install, zc.buildout, or manually by running "python setup.py install" in a package distribution directory. These systems work fine as long as you have Python-only packages. For packages that contain binaries, such as Python C extensions or other platform dependent code, the situation is a lot less bright. In this talk, we present a new web installer system that we're currently developing to overcome these limitations. The system combines the dynamic Python installation interface supported by all installers ("python setup.py install"), with a web installer which automatically selects, downloads, verifies and installs the binary package for your platform. This talk was given at PyCon UK 2014 in Coventry, UK, by Marc-André Lemburg, CEO of eGenix.com. Mr. Lemburg is available as Python coach and consultant, if you would like to get on-site help with your projects. For the best viewing experience, please select 1080p HD quality by clicking on the small gear icon and then switch to full-screen mode by clicking on the rectangular bracket icon on the lower right side of the player. 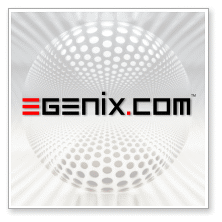 (c) Copyright 2014 eGenix.com. All Rights Reserved.